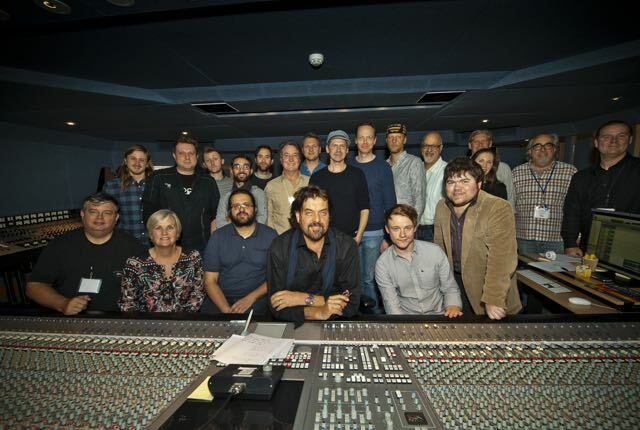 Alan Parsons ‘Got Back’ to Abbey Road for two MasterClasses! 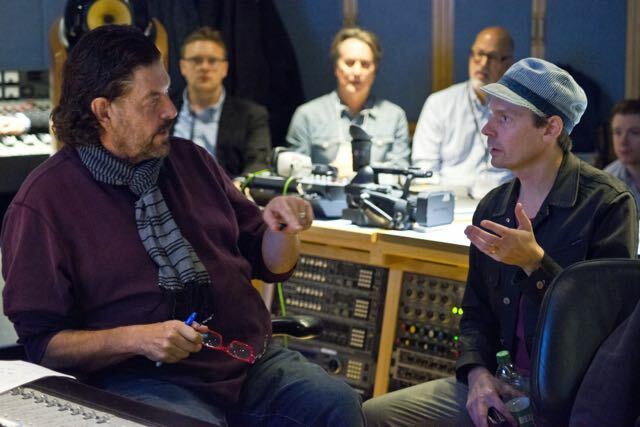 Alan Parsons finally got back to London's Abbey Road studios—the location where he trained as a young engineer, working alongside Geoff Emerick, Ken Scott and Norman Smith on The Beatles final two albums, Let It Be and Abbey Road—for two of his unique Master Class Training Sessions. On November 16th and 17th and again on November 18th and 19th, a small and select number of people were part of this history-making reunion of great producer and great studio, where the magic happened all over again. Session 1 saw Alan recording Swedish band Edward, who had won the first New Recording Artist challenge set up specifically for this event in conjunction with Musicians Guild (www.musiciansguild.com). Edward's song 'Dogs' (not about dogs, as such!) was a perfect blend of accomplished songwriting and vocal skills from leader Johan Lagerstrom supported by sensitive playing from not only the rest of the band but also several attendees, who got to contribute component parts of the guitar solo passage. Alan also decided to record the tracking session on 24-track tape as well as digitally on ProTools and it was fascinating that, in a blind shootout, tape actually won the day, providing not only the somewhat expected degree of 'warmth' in the low end but also clarity and zing in the top end! The wildlife theme continued on Session 2 when Alan recorded another European band, Fish On Friday, who hails frm Belgium, with an intricate prog rock number complete with multiple instrumental and vocal breaks and sections. Both sessions were streamed live from Musicians Guild, allowing night owls in the USA and elsewhere to be part of the proceedings. A full report will be posted shortly. Alan chose Belgian prog rock luminaries Fish on Friday as the International Artists for Session 2. "My head is reeling pleasantly at the prospect of recording progressive rock again." Alan had said before the session. And the pace and intensity of the two days did not disappoint. Alan had worked with Fish On Friday's most recent recruit, the irrepressible Nick Beggs, on the Steven Wilson sessions he engineered two years ago. Formed by Belgian producer and musician Frank Van Bogaert and keyboard player William Beckers, Fish On Friday has released three highly acclaimed albums since 2009. The band’s second release ‘Airborne’ featured the virtuoso bass playing of Nick Beggs (Kajagoogoo, Ellis Beggs & Howard, Steve Hackett, and Steven Wilson), who has since become a full time member of the band. For the Abbey Road sessions the band will be augmented by another British progressive rock stalwart John Mitchell, singer and virtuoso guitarist with It Bites. Much of what Alan Parsons is all about he learned at Abbey Road, be it overarching concepts like ‘value for money’ or the particular such as miking a concert Grand piano. At all levels, benefiting from Alan‘s lifetime of experience in two day’s worth of work is an exhausting and exhilarating experience for everyone involved. Session 1: The Winner of Alan Parsons / ASSR New Recording Artist 2015 and featured artist for this session is Edward, from Gothenburg, Sweden. The New Recording Artist 2015 Challenge attracted more than 100 entries and the standard was incredibly high. 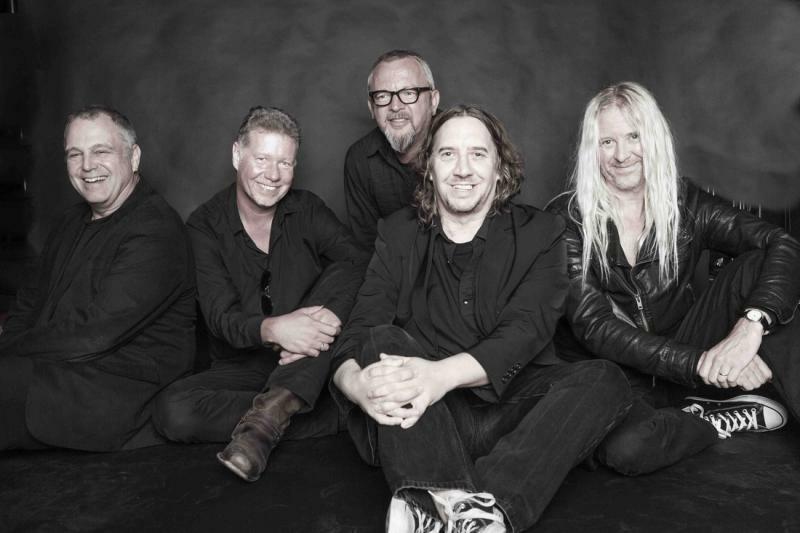 Edward, led by Johan Lagerstrom has a traditional bass, drums, guitar, keyboards line up and has been active on the Gothenburg gigging scene for several years. They are all about the song and Alan picked up on that right away. Asked about their influences they say: "Everything that comes in your way turns into an influence one way or another. Edward grew up on a very limited diet of mainly English and American music from the 1960's and 70's. Since then the rest of the world has been discovered. Good music, movies, books and love have added exciting new dimensions to Edward. Some years ago Edward was almost violently struck by love, leading to music in the shape of feather light pop songs becoming the immediate way to express feelings. The songs streamed into a recording machine, luckily without any consideration or hesitation." Both Session 1 and Session 2 are 2-day Level 3 MCTS events. Attendees at all Master Class Training Sessions are encouraged to participate, not simply observe. This includes mic setting, EQ-ing, processing, and mixing but is strictly on an 'if you want to' rather than 'compulsory' basis. The spirit of an MCTS event is one of action and discovery. Although the recording media is a DAW, Alan demonstrates the value of using a large format console, the power of constant human interaction and decision-making, plus many 'old school' recording techniques and approaches that tend to get lost in the shuffle of the wholly 'in-the-box' digital world. Platinum seats: £1900 pounds Sterling / $2800 US Dollars. AES/APRS Members qualify for a 10% discount. A signed Certificate of Completion personally presented by Alan Parsons at the end of the session. 10.45-11.45 Miking the drums, miking and placement of other instruments for initial live tracking in Studio Three live room. 1.00–2.00 Lunch will be served at the Abbey Road restaurant with Alan and performers. 6.30–7.00 Formal Q&A with Alan Parsons. 09.30–10.00 Coffee and pastries will be served. 10.00–11.30 Completion of instrumental overdubs/solos. 7.30 Champagne Reception, presentation of Certificates in the Abbey Road main bar. 10.45-11.45 Miking the drums, miking bass guitar (amp + DI), guitar, placement of other instruments for live tracking in Studio Three live room. 4.30–6.30Recording keyboards (B3, Steinway Grand).